Ms. Anderson works with women find a fulfilling life in retirement. 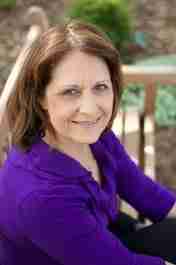 She is a Certified Professional Coach through her business, Emerging Life Coaching. Janelle typically works with women who are transitioning into a new season in life, whether that is from the “busy mother raising children season” to an “empty nest” season or from “busy career life” to the season of retired life. And…she helps them discover a new game to play and who they truly want to be in this “third act of life.” Her work with clients includes one-on-one private coaching sessions, as well coaching groups, workshops and personal development classes. Week 2 – Envisioning which is setting the vision of where you want to go and who you want to be. Dream and paint a big picture of what’s possible. Week 4 – Work on removing the roadblocks in your life. Create possibilities and figure out how to write a new story for your life. Week 5 – This week is spent looking at key relationships in your life. Where are they? Are they draining you? Are they energizing you? I'm not unhappy, I'm doing things I enjoy like gardening and going out with my friends, but I just keep asking myself is this all there is? Janelle talks about her client Margie who was struggling with becoming an “empty nester” and she also talks about Sandra who felt unfulfilled in her retirement. Margie had just entered the “empty nest” when she came to me. The last of her children had just moved out and she was really floundering with her life, not knowing what to do with herself. Know that there is not just one transition that is going to happen. There are many transitions and that it is normal and you may need time to re-adjust to figure out where you are and what you want to do.